1. 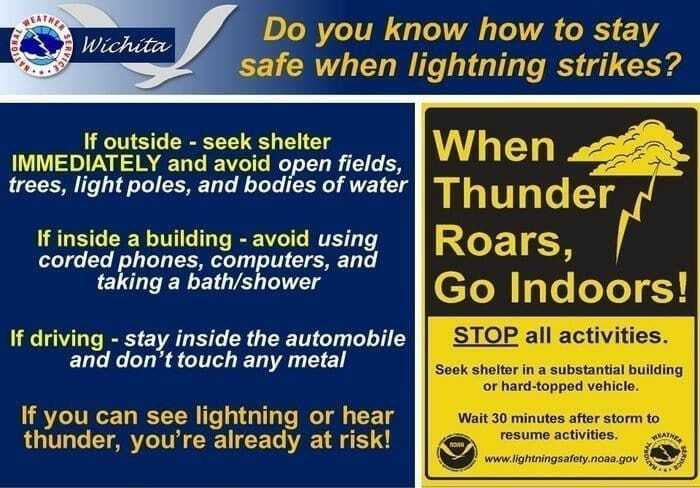 When Thunder Roars, Go Indoors! Being a photographer if you want to do something very crazy then you must photograph lightning. 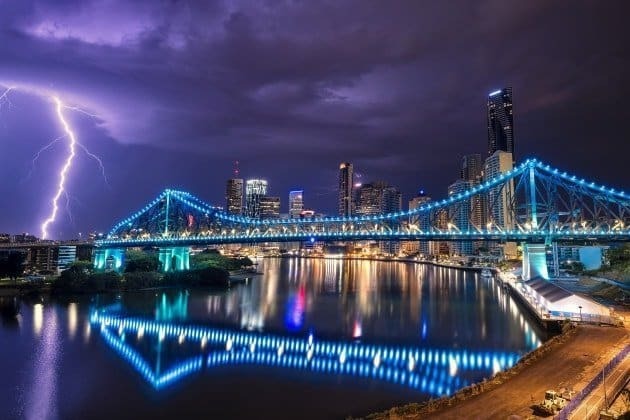 If you are an amateur photographer and interested in this category of photography then here I am to tell you everything you need to know about how to photograph lightning. This process is very similar to night sky photography or light trail photography with some exceptional requirements. However, the whole process is straightforward though there are risk factors. In this article, I shall give you the guideline of how to photograph lightning which is a dangerous but fantastic hobby. I aim to teach you the basic and essential procedure for simply capturing lightning with some tips to expand your ideas for making outstanding lightning photos. Probably we all have heard this sentence “when thunder roars, go indoors.” That means you need to ensure your safety first. Al high places are vulnerable to thunder. 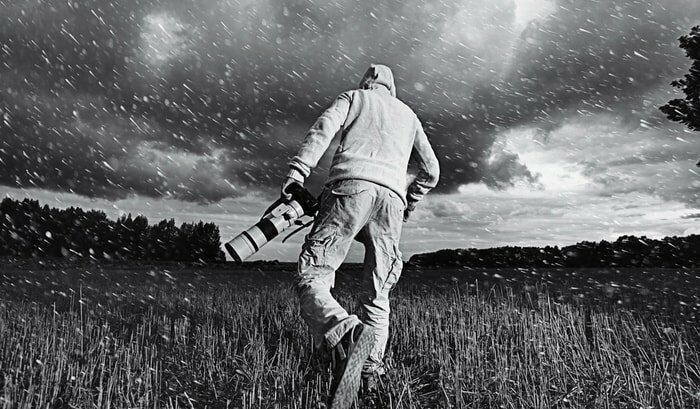 So, avoid those places and try to keep yourself indoor and find a way to take the view with your lens for making a great photo. But, safety can’t be compromised every for taking a good shot. There might be saying that there is no gain without pain. 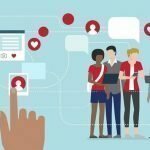 In this article, I shall not encourage you to follow this saying. The first step for learning how to photograph lightning is safety. Good equipment will make your work more comfortable, and when you can work quickly with comfort, your work will be an outstanding one. As we know that this is a dangerous hobby; thus, we should have everything with us so that we don’t need to use anything which is out of practice and becomes dangerous. Let’s see the equipment we need for photographing lightning. Probably you may laugh that why am I telling that we need a camera for photographing lightning. Well, I am not going to tell you that you need a camera because without a camera you can’t shoot anything. What I want to tell you is, you need to use a user-friendly camera, and you have good control over it. While photographing lightning, you need to concentrate on many things. If you know your camera correctly, then you will get it very easy while handing the camera. Thunder never says from where it will initiate and where it will strike. So, you can not select a very precious place for photographing lightning. You have to choose a vast area to capture, and you need a wide lens to get this view. It is always recommended to use a wide lens, but if you can predict lightning within a small place from too far distance, then you can use a narrow lens. This is a must for photographing lightning. You must use a good quality tripod. The tripod must be stable enough to remain rigid when the camera is operational, and at the same time, it has to be flexible enough so that you can fix your camera in the appropriate angle. You may have to adjust your camera within a very narrow opening as you need to maintain safety. So, choose a good tripod. Lightning sometimes becomes very frequent, and sometimes it becomes too tight to get predict. You can not predict the time and place of any bolt. So how to photography lightning then? We shall discuss some of the processes later on. But, there is equipment which will ease your work. You need to set your camera and wait. The Lightning Trigger will do the rest. But you have to fix all the necessary settings like ISO, Aperture, etc. 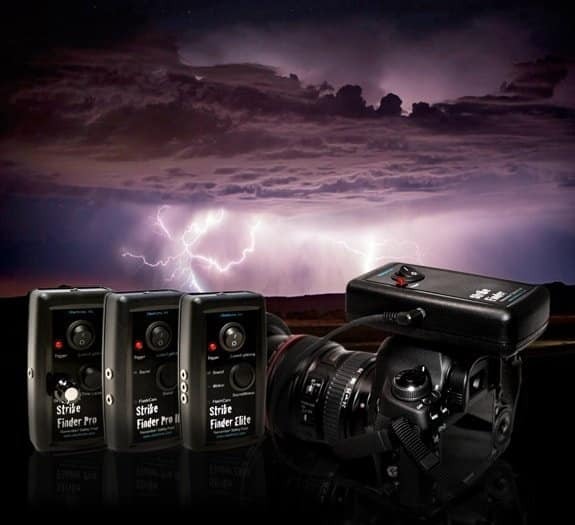 The lightning trigger has a sensor which initiates the camera shutter to open when it identifies any lightning. The device is connected to the camera by means of a chord. You can buy a device like this at around $200 to $300 which is a bit expensive. You need to find two different locations for photographing lightning because from one place you have to shoot, and the other area is your subject for photography. For these two places, you need to keep a few points under consideration because these will be directly related to the quality of photographs and most importantly the safety. Let’s see these points from two different views. Select an area where you can make some good composition. Mostly you will do improvised landscape photography. Do not only think of capturing the thunder. You must remember about the surroundings to fit them in the frame for making a good composition. We shall talk about the composition later on. The thunder generally strikes high and catches the taller bodies. If there are towers, high structures, then select that area. You should follow the rules for landscape photography in this regard as well. This point is more important than selecting the subject as a matter of safety lies with this point. The place should be suitable enough to cover the area which you want to capture. But you must not compromise the safety to get a better view. You can keep your camera to a place where you get your desired view, and if it’s not safe for you, then you can remotely handle the camera with a remote trigger. 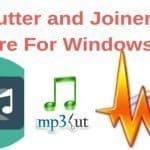 If you have Lightning Trigger, then there is nothing to worry. You need to worry about the safety of the camera. Try to reach high to get a better view. When you are on the way to know how to photograph lightning then knowing the camera setting is a very vital point. Whatever camera you are using does not matter at all unless it is not a DSLR, you have to set your camera to the proper setup. The camera setup includes ISO, aperture, shutter speed, focusing, etc. 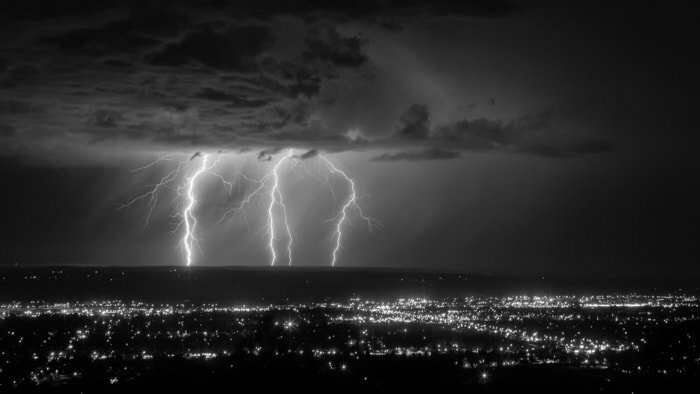 Now we will see the essential requirements of the camera setting that you must know for how to photograph lightning. 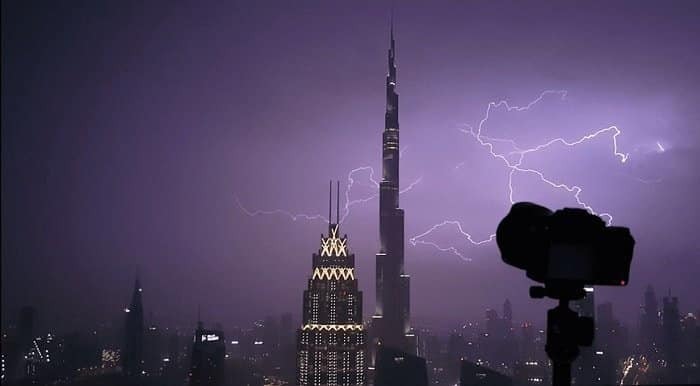 While capturing the bolt of lightning you will have to place your camera in a steady place. But the subject in front of you will be changing continuously as there will be a lot of movement of the clouds and lights. 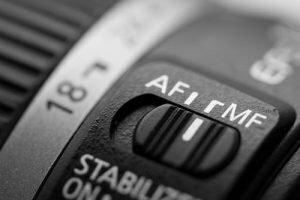 In this situation, if you keep your camera focus in auto mode, then your camera will be confused and it will be changing its focus point frequently. To avoid such, you have to focus manually and focus at a place where the probability of the strike is most. If you are shooting from too far then you can set focus to infinity. One more important point, select One Shot mode instead of AI Servo or AI Focus. Once the lightning strikes, the whole area becomes enlightened. And we know that the light usually becomes too intense if it is too close. So if the lightning is closer then you must keep the ISO low. Not only that, you have to keep ISO lower if it is even at a longer distance. Otherwise, your image will be overexposed. You just can not press the shutter once the lightning strikes because it will end by then. You have to use a slower shutter speed here. It may vary from 3 seconds to further. An exposure of 30 seconds may be an ideal one for this kind of photography. If the lightning is too often then select a less slow speed and if it is not so then make the exposure bigger. Capturing too many lightning may overexpose the image. Aperture plays a very vital role here. What aperture size should you select here? 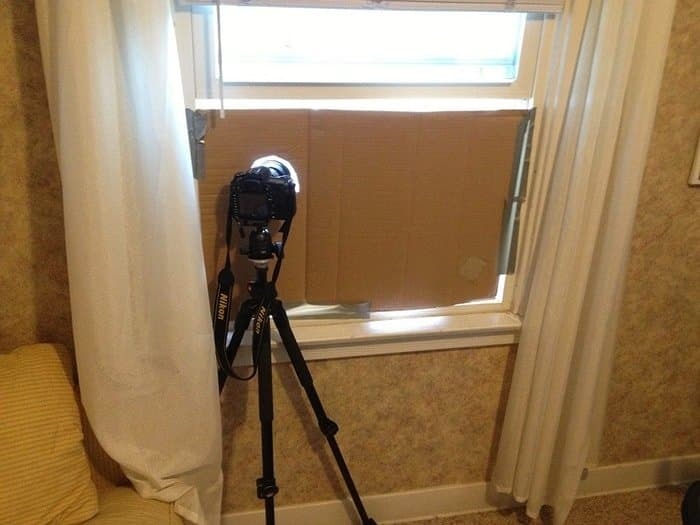 Well, it may look darker outside and you may think of setting a wide aperture. But you will be going wrong. The sudden lightning produces a massive light which may overexpose the image if it gets a free passage to the camera sensor. Thereby you should select a narrow aperture so that it can allow limited light to avoid overexpose. However, you should use your judgment to select the aperture size by seeing the frequency of lightning and the light it produces. Whenever you are capturing any special category like lightning you must go to manual mode of the camera. You must not allow the camera anything at its own. Because you need to keep everything set and rigid during photography. I am sure that everyone will be in the same line that when you come to know how to photograph lightning, you will be asked to capture lightning in manual mode. If the lightning rate is very slow then you need to follow a different way. There is a mode named ‘Bulb’ mode in your camera. Select that mode and press the trigger after setting all other requirements. The difference is, you have to press the trigger with a cable release or remote trigger. Keep the shutter on till the time you see the strike of the lightning and release the shutter once the strike ends. What is the difference between capturing RAW and JPEG? Well, it may seem nothing, but there is a lot of difference between them. You will find the difference once you are editing the photo if not by visualization. The RAW format gives much more details than a JPEG format does. Always try to capture RAW. It may take some more space on your memory but you should not compromise the quality of the photo for space. Whenever I talk about the composition, I refer to the rule of thirds. This is the most useful and widely used composition. The location of the lighting is not predictable thus you can’t think of placing the thunder under the rule. What you can do is placing the surroundings and the important things in the rule. You should have sufficient knowledge about the rule of thirds before going to photograph lightning. This should be an important point of ‘how to photograph lightning’. You can also follow other rules for composition, but I prefer the rule of thirds. While you use the rule of thirds during capturing lightning, you must keep maximum in the background as the lightning will be mostly in the sky. Keep the horizon in the lower line if you are shooting from a top place. If you have the intention to capture lightning then do not hurry after the storm starts. We all know the probable time when lightning occurs. 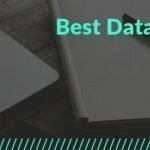 By consulting the weather forecast from different apps and websites, we can make a plan and keep ourselves ready around that time so that we do not need to hurry and capture a bad image. Moreover, doing a hurry in photographing lightning will become dangerous. After taking a few photographs with one setting you should check your photographs and then you must make an assessment of your photography. If you find your photographs good then that’s a very exciting moment. If not then make a change in the setting and shoot again to get a better one. However, if you even get a better image you must not stick with the same setting. Change the setting and try different. You may get a much better image than the previous one. Once you are capturing with a rigid tripod and with the same setting then keep on shooting many photos. 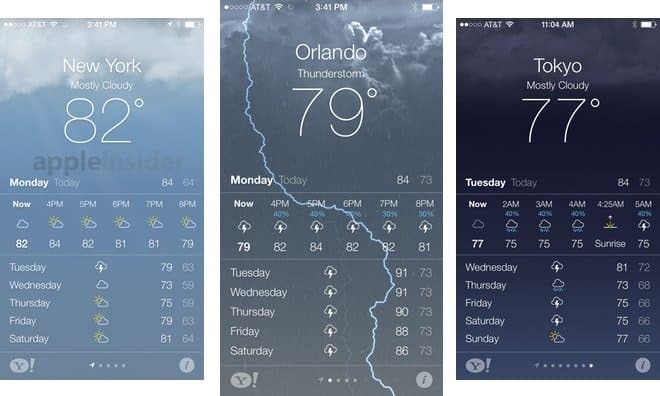 Those pictures will have many different strikes of lightning. After that merge them all during post-processing. This will make a different dimension of the photo where there will be lots of lightning in a single frame. This lightning rich photo will definitely be a great one with different patterns and colors. While learning how to photograph lightning you must learn how to love your equipment because this is not the last photography you are doing with this equipment. 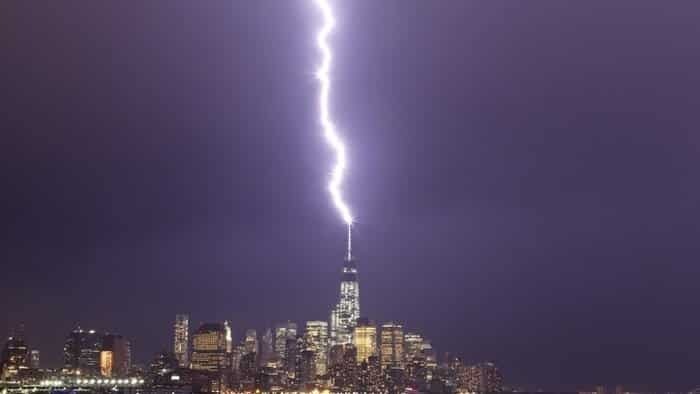 Your camera is also vulnerable to the lightning strike if it is not kept in a safe place. Cover your camera and lens properly so that these get protection from the raindrop. Never miss loving your camera and lens. Lightning does not occur during only night time. It takes place during day time as well. Do not miss that opportunity to capture it. How to photograph lightning during day time? Well, use lowest ISO, narrow aperture and use ND filter so that you can use slower shutter speed. Have some test shot and check whether your settings with the equipment are okay or not. You can also use a lightning trigger here. Afterall you need to know how to protect yourself before learning how to photograph lightning. All the procedures and tips given above are not the only procedure or any rigid rules. You may always deviate from those to make a good photo. 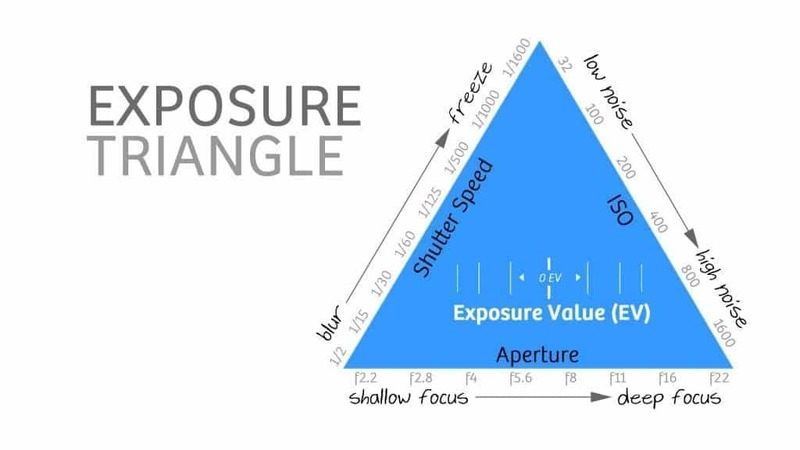 But, these are the basics of this category of photography. Once you are master on this, you can deviate from the mainstream. Why do so many articles about this always assume you are shooting at nighttime? You can’t use Bulb or 3 seconds for a daytime photo. Many great opportunities come during day time. Not a single example here of capturing a daytime strike. Said almost nothing about the light trigger. It’s a good article, but how can you be a “pro” if you leave out half of your shooting opportunities? Thanks for your suggestion. Taking your valuable advice I have already added a general idea about the lightning trigger added the guideline to photograph lightning during the daytime as well.